An “expungement” is the legal term for the formal, legal process through which your criminal charges/convictions in New Jersey are, for all intents and purposes, “erased” from the government’s records. In today’s tight employment market, more and more employers (especially larger corporations) are performing criminal background checks on all job applicants. Given the choice between a job candidate with a “clean slate” and a candidate with a “record,” whom do you think will get the job? 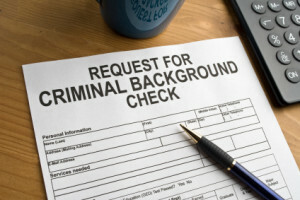 An expungement is also important if you plan to someday apply for a New Jersey Firearm’s Purchaser Identification Card (commonly called an FID card or “gun permit”). New Jersey is among the most anti-Second Amendment / anti-gun states in the U.S., and having a criminal record (even a very old offense) is grounds for denial of your FID card on grounds it is “not in the interest of public safety” for you to purchase, possess, or own a firearm. Note also that in New Jersey, an FID card is required even for the purpose of purchasing “hunting arms” such as small-gauge shotguns. Can I expunge a New Jersey DWI (drunk driving) offense? We get asked this question all the time, and the answer, sadly, is “no”. Under New Jersey law, D.W.I. is a traffic offense-not a “crime”- and as such cannot be expunged. While any NJ DMV “points” received for a DWI will eventually come off your driving record, the DWI conviction will remain a permanent part of your NJ DMV driver’s abstract. Is there a waiting period before I can apply to have my charges/convictions expunged? Yes. The waiting periods vary depending on what crime or offense you were charged with, and whether or not you were sentenced to an “alternative” or diversionary program by the Court, such as Conditional Discharge or Pre-Trial Intervention. Call us at 908-782-5313 to find out the waiting period for your specific offense or charge. My charges/crime happened a long, long time ago, and I’ve forgotten exactly what charges I was convicted of (or pled guilty to). Where can I access my New Jersey criminal records? It is VERY helpful if you obtain a copy of your complete New Jersey Criminal History before contacting us, as we need to determine exactly what crime or statute you were charged with, as well as what the final disposition was (for example, guilty plea, found guilty at trial, charges dismissed per PTI or conditional discharge/probation, etc). Print the form, fill it out and sign it, and follow the form’s instructions to make your fingerprinting appointment at a Morpho-Trak location near you. Typically, it will take 4 to 6 weeks to receive your criminal history in the mail from the NJ State Police after you are fingerprinted. Our firm will need to receive a copy of and review your NJ Criminal History report before filing your expungement. Can I expunge multiple offenses? The answer is “it depends.” This question must be answered & evaluated on a case-by-case basis. Call us at 908-782-5313 to discuss your case. Can I expunge out-of-state offenses or Federal offenses? Our firm can only assist you with expunging crimes which occurred in New Jersey. If you wish to expunge crimes which occurred outside of New Jersey, you will need to contact an attorney licensed to practice in the state where the offense occurred. Also note that Federal offenses cannot be expunged except in VERY narrow and limited circumstances. Our office does not handle Federal expungement or pardon applications. If I was merely arrested but never actually convicted of the crime, may I expunge solely my “arrest record”? Yes, New Jersey arrest records alone can be expunged. Contact us at 908-782-5313 to discuss your case. I received Pre-Trial Intervention (PTI) or a conditional discharge for my offense, completed my probation period/drug testing/community service etc, and the Court dismissed my charges. Was my offense automatically sealed or expunged when the charge was dismissed under PTI/conditional discharge? Can I expunge my juvenile offenses? Do I even need to? I thought all juvenile records were under seal? If you plan on applying for a NJ Firearm’s Purchaser Identification Card (commonly called an FID card or “gun permit), it is essential that you expunge your juvenile record prior to applying for your NJ FID card. Question #18 on the FID application asks if you have ever been adjudged a “juvenile deliquent.” If you answer “no” to this question under the mistaken assumption that these records are sealed, you may find the police at your front door arresting you for “falsifying your FID application.” Read my blog post about a recent client’s horror story regarding this issue. When it comes to NJ Firearm’s ID Card applications, the time to address any “skeletons in your closet” is BEFORE you apply, not after. The police and the Courts do not care whether you “forgot” or “were under the mistaken impression” that your old juvenile or old criminal records were under seal or irrelevant because they occurred decades ago. In the current New Jersey political climate, local police departments are looking for any reason possible to deny your FID application, and if they nail you for a falsification on your FID form, your chances of ever legally owning/purchasing a firearm in NJ are extremely slim. Will I need to appear and testify in Court as part of the expungement process? In the overwhelming majority of cases, the answer is “no.” Most NJ expungements are decided by a Superior Court judge “on the papers,” and no appearance is required. However, there are rare cases where a court appearance is required. We can usually predict from the outset whether yours is a case which may require a Court appearance. Will my arrest and/or conviction still show up in Internet (i.e., Google or Yahoo) searches if people enter my full name in a search engine? Possibly. An expungement Order only applies to official criminal records kept, archived, and maintained by the State of New Jersey, not private businesses such as websites or online versions of newspapers, sites such as NJ.com, etc. However, our experience has been that if the webmaster or administrator of a “police blotter” type website (or managing editor of a newspaper, etc) is served with your final Order of Expungement, they may order their webmaster to remove the old, “archived” reference to you & and your name/arrest details from the web page. For an additional fee, our office will contact the administrator, editor or webmaster of any online sites which reference your old arrest/conviction and fight to get your name and crime removed so it doesn’t pop up in Google searches. What is your firm’s fee for an expungement? In most cases, we can handle your expungement for a flat fee of $795 if only one offense is on your record (multiple offenses or arrests require an additional fee). Note that our fee includes all postage fees and court costs. Many firms quote a low price for expungements, but often add the court costs (which as of 2013 are $52.50) and certified mail postage costs to your bill separately, resulting in substantial “additional” charges. Expungements require several rounds of certified mailings to be sent out to various government agencies & offices, which can quickly add up to over $100 or more depending on your case (as of 2013, the U.S. postage for one certified letter is over $6 per letter). We include all of these postage charges as well as the $52.50 court filing fee in our $795 flat-fee. Note that payment in full is required before we will file your Petition for Expungement.